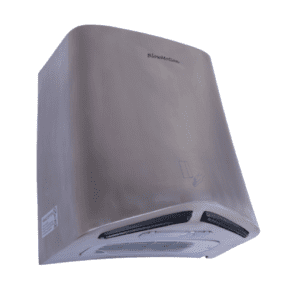 There are many different types and categories of hand dryers, from hot air hand dryers to cold air hand dryers, jet blade designs, low noise options, and much more. You will have no doubt been in some washrooms that have hand dryers that are activated by a push button, and others which are activated automatically by sensors, but which is the better option? 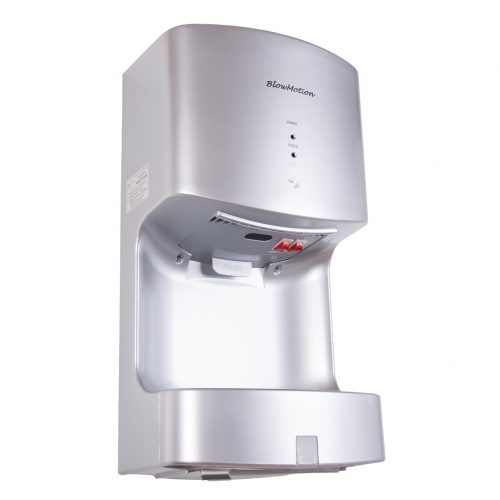 Our best automatic hand dryers are becoming increasingly popular, here’s why. The surfaces of a washroom are where germs and bacteria thrive and grow, and the last thing you want to do after washing your hands is come into contact yet again with germs. We can’t be sure that everyone who uses the washroom has proper hand hygiene and the germs that collect on push button hand dryers pose a threat to our personal hygiene as many hands push these buttons on a daily basis. Hygiene should be a priority when it comes to installing hand dryers in your washroom, so ensure you choose automatic hand dryers. With automatic hand dryers there’s no contact with the hand dryer whatsoever which reduces the risk of germs spreading. You simply place your hands underneath the hand dryer and it activates, no touching involved! The Jet Blade V in particular has extremely reactive dual sensors to detect hands and kick into action quickly. This dryer also has a HEPA filter to remove bacteria and germs from the air and it blows the contaminated water away from you. Traditional push button hand dryers have had a lot of problems in the past which has made them a much less popular choice than newer automatic products. The timers are often unreliable and with a few knocks and bumps the button can be easily broken which is an integral part of the hand dryers function, meaning they’re not very vandal-resistant. As there is little contact with automatic hand dryers, there’s minimal chance of damage. 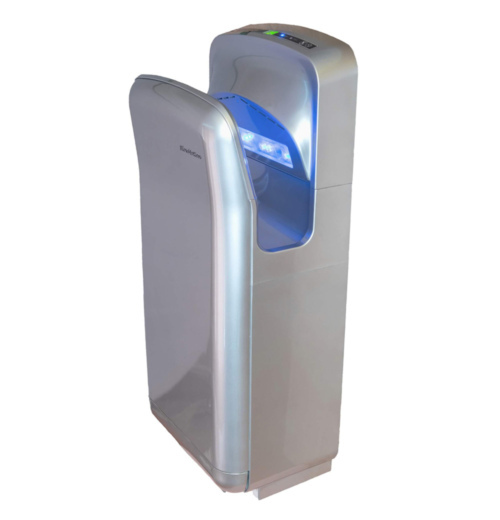 All of our automatic hand dryers are made from robust materials, making them more durable and longer lasting. Technology has advanced over the past decade with automatic hand dryers becoming more reliable. Push button hand dryers run on a timer which means they can run for much longer than needed and in turn use more energy than necessary. 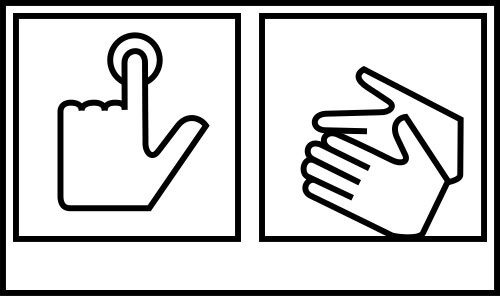 Automatic hand dryers kick into action as soon as hands are detected and cut off as soon as hands are removed from the dryer. It only takes our dryers around 10 seconds to thoroughly dry hands after which the dryer automatically switches off, whereas push button timers can often take longer and will continue to blow air even when hands are dry. The less time spent drying, the more energy you’re saving which makes automatic hand dryers the most energy efficient. 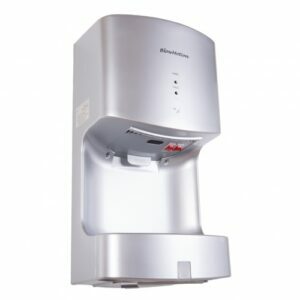 Order From Our Range Of The Best Automatic Hand Dryers Today! Automatic hand dryers are clearly the better option as they’re more hygienic, energy efficient, and durable. We have a large selection of some of the best automatic hand dryers on the market, coming in various shapes, sizes and colours. Browse our website to find your perfect dryer today or give us a call on 0800 002 9678 to find out more.